FREE TRANSFER FROM FERIHEGY AIRPORT TO TriDent! 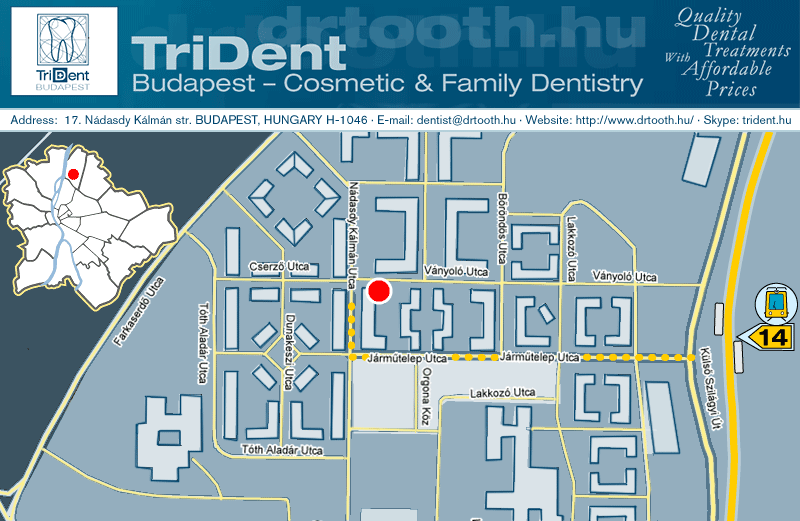 When you arrive at Budapest Airport, our colleague will welcome you and take you from the airport to your hotel or to TriDent Budapest Cosmetic&Family Dentistry (in case you have booked via TriDent). Or you can use Zona taxi (fix rates), and the transfer fee will be deducted from the treatment price. After arriving you can ask for a prepaid (with appr. 10GBP) Hungarian mobile phone for free calling TriDent Budapest while you are staying. - before any dental treatment, our dentist will give you a detailed personal information and quotation in English about the planned treatments, and answer all your questions you may have. - after the treatment, we update you about the details of the after-care and the healing process. - after your departure, we will continuously provide opportunities to contact us via e-mail or phone. We help to book organized tours, tickets, and transfers. We support you with useful information on what to see, where to eat, and where to go in your free-time. We highly recommend Hotel Karin***. You can benefit from our discounted corporate prices exclusively for our patients. The taxes and the buffet breakfast are included in the price. If this hotel is not adequate for you, we help you to find another suitable accommodation on your request. The cost of flights differs according to the date and the special deals offered by certain airlines. You can visit the websites of the airlines listed under the link Travelling to Hungary. Further discount for native Hungarian speakers!